Part 2 of the 3-part 'Shadow Box,' continued from the previous issue. The streets of Gotham erupt as Triad gangs battle the Ghost Dragons for underworld supremacy, while Batman tries to keep Robin out of King Snake's way! Continued next issue. 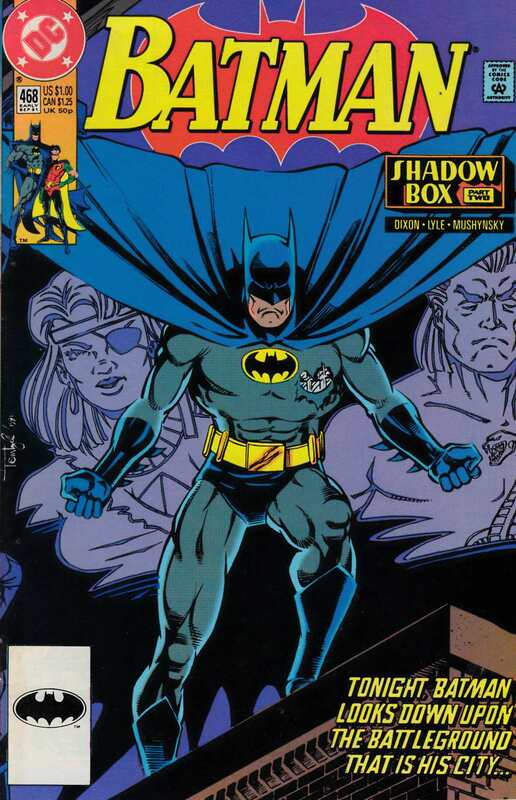 Written by Chuck Dixon, with art by Tom Lyle and Andy Mushynsky. Cover by Lyle.